Stabilo is an old company that has been working with porous point writing tech as far back as the 1970s (when the Stabilo Boss highlighter sales began to boom). So, with decades of design and manufacturing experience under its belt, Stabilo should have the resources to create a great porous point pen. And, as a fan of porous points, I was eager to try the popular Stabilo Sensor. The main feature of this pen is its “sensor” tip, which retracts in slightly when pressed on paper. It sounds like an intrusive feature, but it’s hardly noticeable unless you write with a very heavy hand. The product’s webpage mentions that this feature is meant to improve smoothness and comfort, but I suspect that it has more to do with extending the pen’s life. With porous point pens, the tip is usually the first part to break down. The Sensor adds a little ‘give’ whenever too much pressure is placed on it. As far as I can tell, this feature works as intended, but it comes with a couple drawbacks. First, it’s two to three times more expensive than a cheaper option like the Monami Plus Pen 3000. It also seems to me that the Sensor doesn’t put down a line that’s quite as clean as something like The Sharpie Pen. For me, this pen isn’t a favorite, but it’s definitely a good choice. It writes well, and it has a dark ink with minimal smear and bleed-through. It has a nice barrel design as well – both aesthetically and functionally. It has a thicker body and longer clip than most other porous points (which, for whatever reason, tend to be thin with small clips). But for anyone with a heavy hand who likes the look and feel of a porous point, the Sensor is definitely worth a try. Here’s a review from The Unroyal Warrant written a few years ago. It shows off an older barrel design for the Sensor. It’s also mentioned that the ink in this pen, unlike the similar Sakura Pigma Micron, isn’t archival. Definitely worth noting! Here is a timeline for the Stabilo company. I just though this was interesting. 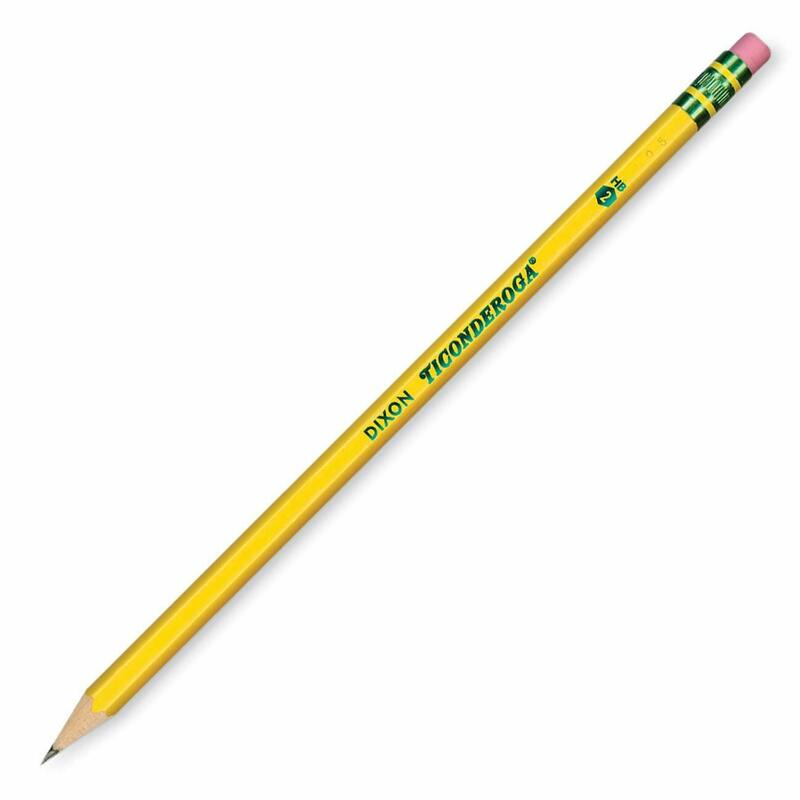 It started as a pencil company in the late 1800s. 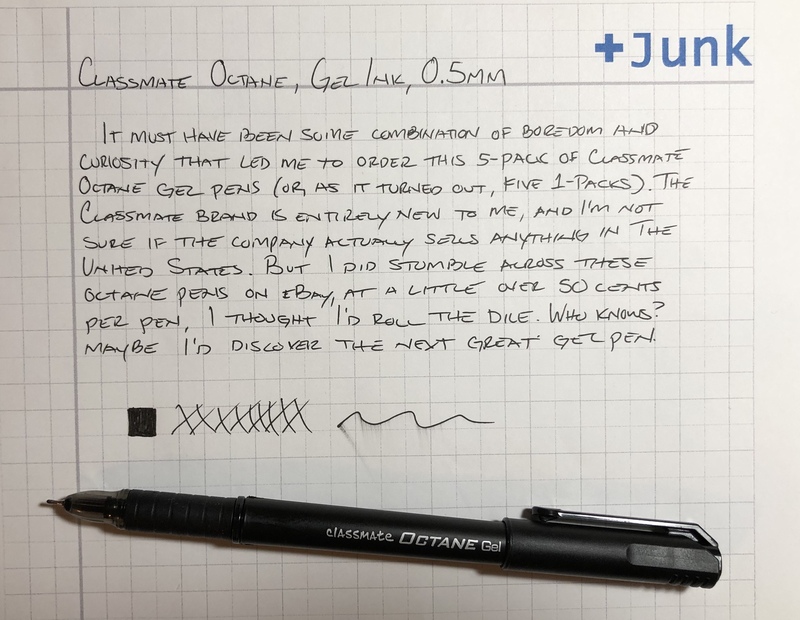 Here’s a review from Office Supply Geek if you’re interested in the version with blue ink. And here’s another one over at The Pen Addict that shows off even more colors. I don’t remember exactly where I first saw this Baidercor Space Shuttle Pen, but I’ve stumbled across it a handful of times while doing some Fisher Space Pen browsing. But the Space Shuttle Pen and the Space Pen should not be confused, as they are two totally different items. One is a pen I like to travel with, and the other is a cheapo novelty ballpoint made from molded plastic. Baidercor seems to primarily be a toy company, which makes some sense out the Space Shuttle Pen. It isn’t much of a functional pen, but instead it’s more of a clicky toy for your desk. 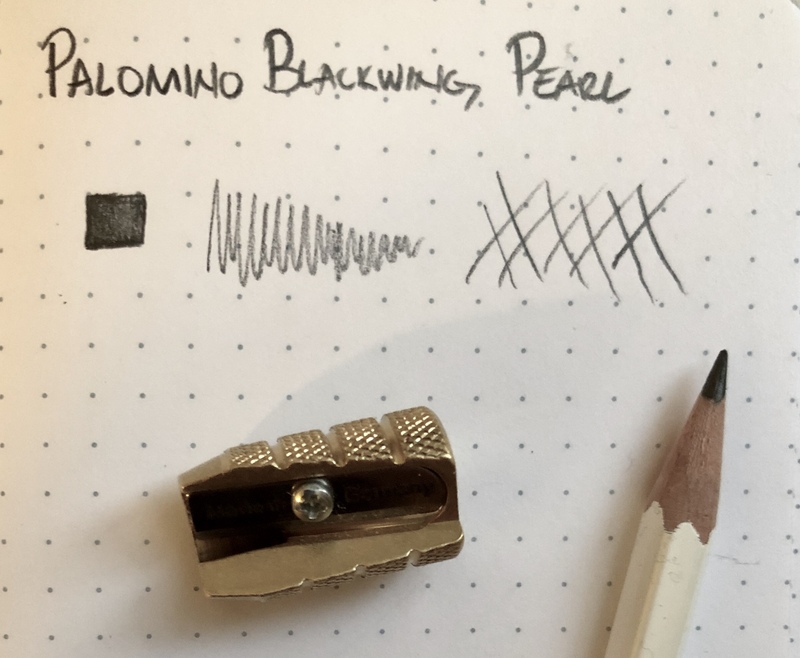 The big, bulky “Space Shuttle” knock makes the pen both uncomfortable to hold and difficult to keep in your pocket, and the generic black ballpoint ink comes in such a small refill that it surely won’t last long. And, no, a Fisher refill does not fit this pen – I tried. However, the Space Shuttle Pen does look kind of cool (which is why I bought it in the first place), and I like the variety of fuel tank colors. But this pen does feel a lot cheaper than it looks. So if you find yourself impulse purchasing these pens as I did, maybe just plan to use it as an adornment for your pen cup. 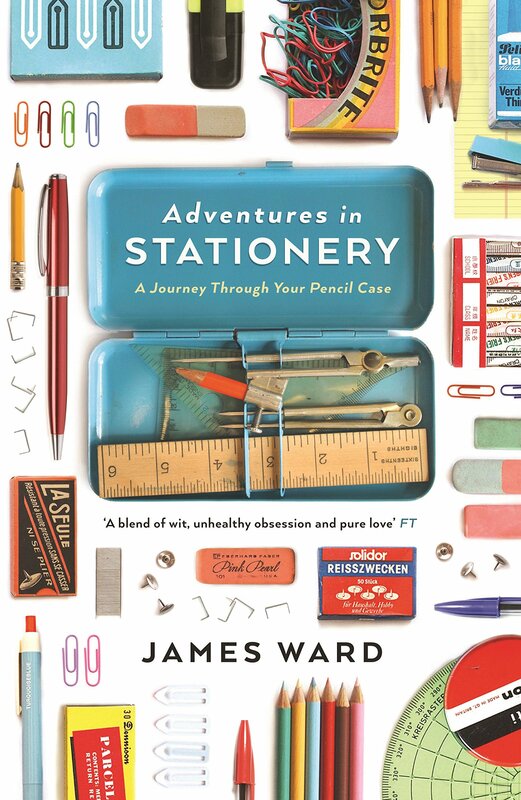 Adventures in Stationery: A Journey Through Your Pencil Case by James Ward was published back in 2015. And though it seems like a book that would be right up my alley, it somehow managed to pass me by until now. The same goes for both Ward’s “I Like Boring Things” Blog and The Boring Conference he organizes. However, the goal of his work seems familiar: take something that most people see as “boring” and explain why it’s actually interesting. So I was excited to see how Ward attempts this with the world of stationery products, a topic which he seems to have a genuine passion for. Adventures in Stationery is one part pop-history, one part ode-to-the-boring, and a sprinkling of dry humor. In many ways, the book is like wandering through a museum of stationery. Ward takes you through chapters about pens and pencils, of course, but you’ll also hear the history of erasers, sticky notes, staplers, paperclips, etc., etc. It’s nothing as in-depth as Mark Kurlansky’s Paper, but Ward makes sure to point out the highlights (so to speak); major moments in the development of these items, as well as any pertinent dramatic or humorous stories. Ward has a breezy style, and, at under 300 pages, I found it to be fairly easy reading. If you are reading this blog right now, there’s a very good chance that you will enjoy this book. However, I’m not fully convinced that your average man off the street will come out the other end with a newfound interest in stationery items. Of course, I liked the book very much, and so will anyone else who enjoys meandering through office supply shops. But if you’re planning to recommend it at your next book club, you will get a lot of skeptical looks. It must have been some combination of boredom and curiosity that led me to order this 5-pack of Classmate Octane gel pens (or, as it turned out, five 1-packs). The Classmate brand is entirely new to me, and I’m not sure that the company actually sells anything in the United States. But I did stumble across these Octane pens on eBay, and at a little over 50 cents per pen, I thought I’d roll the dice. Who knows? Maybe I’d discover the next great gel pen. With it’s stealthy, black body and high-powered name, the Octane certainly seems cool on the surface. Other positives: it’s a smooth writer and produces a nice, dark ink, but the “Japanese Waterproof Ink,” as Classmate promotes it, does like to smear. And, as one might expect from the price, the all-plastic construction does feel a bit cheap. It has a flimsy clip, and the rubber grip section slides around. Classmate, a subsidiary of the Indian conglomerate ITC Limited (formerly known as The Indian Tobacco Company), probably sells these pens for practically nothing in India. And if you live in that part of the world, it may be worth getting some of these pens for casual use. It is an adequate gel pen after all, but my verdict is that it’s not something worth importing from across the ocean.